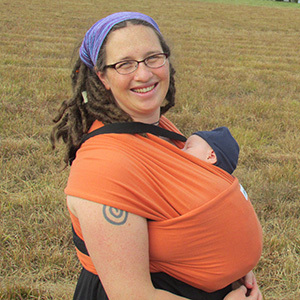 Jennifer mentors parents & parents-to-be by teaching pottying classes inspired by Go Diaper Free, parenting classes from Our Baby Class, offering postpartum doula services & homebirth midwifery care in and around Greenfield, MA. She is the mother of two wonderful boys, with whom she EC'ed both from birth & now homeschools & enjoys hiking in the woods. Jennifer offers classes for Elimination Communication for 0-18-month-olds, as well as Non-Coercive Potty Training for 18 months+. She also offers a free support group on the third Wednesday of the month from 10-11 at Vital Milk 16 Chapman St Greenfield MA. Or you can contact her privately for very affordable in-home & over the phone consultations. Serving the Pioneer Valley & surrounding areas in Western MA, Southern VT & NH.